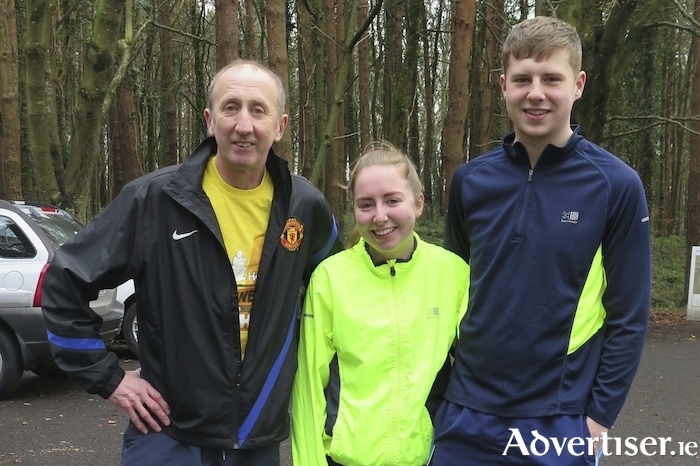 Martin, Laura and Daniel McHale, Clarkes Road took part in the Ballina GOAL MILE on Christmas morning in Belleek. Community groups from Mayo donned their walking and running shoes over Christmas and raised over €5,000 for GOAL to support its overseas development programmes. 2018 marked the 37th year of the GOAL Mile, which is one of the country’s largest and longest-running annual fundraising events. The campaign encourages people across Ireland to walk, jog or run a mile over Christmas and donate what they can towards the aid efforts of the charity. The three events that took place in the county were at: Belleek Woods in Ballina which raised almost €4,000 while the events at Lough Lannagh in Castlebar and in Westport both raised over €500 each. The events took place on Christmas Day and St Stephen’s Day and were co-ordinated and supported by local community groups. This year, over €240,000 was raised for GOAL through the festive fundraisers, which highlights the enduring support of Irish families towards the aid efforts of the charity. "All funds raised from the 2018 GOAL Mile will go towards GOAL’s most pressing work in the developing world. GOAL is currently implementing food, water, healthcare, emergency response and other programmes across 13 countries in Africa, the Middle East and The Caribbean."